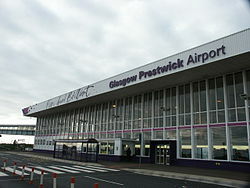 This petition proposes the renaming of Glasgow Prestwick Airport to Robert Burns International Airport. In line with the international pattern of naming airports after well know personages, Robert Burns International Airport fits with this pattern. It may also enhance the image of the airport on a National and International basis. Robert Burns is known and respected world-wide. There are already over 7000 supporters on the Facebook page which promotes the renaming of GPIA.